Primary use for the Kid Transit travel changing mat. 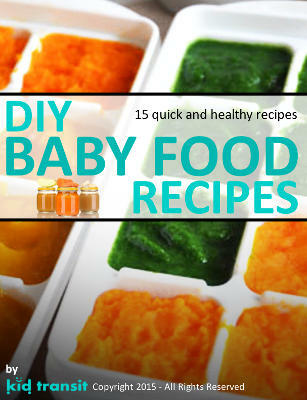 To allow you to change your baby’s nappy while out and about. The detachable bag is large enough to hold 3 or 4 clean nappies and some baby wipes as well as having a zip pocket for nappy bags. 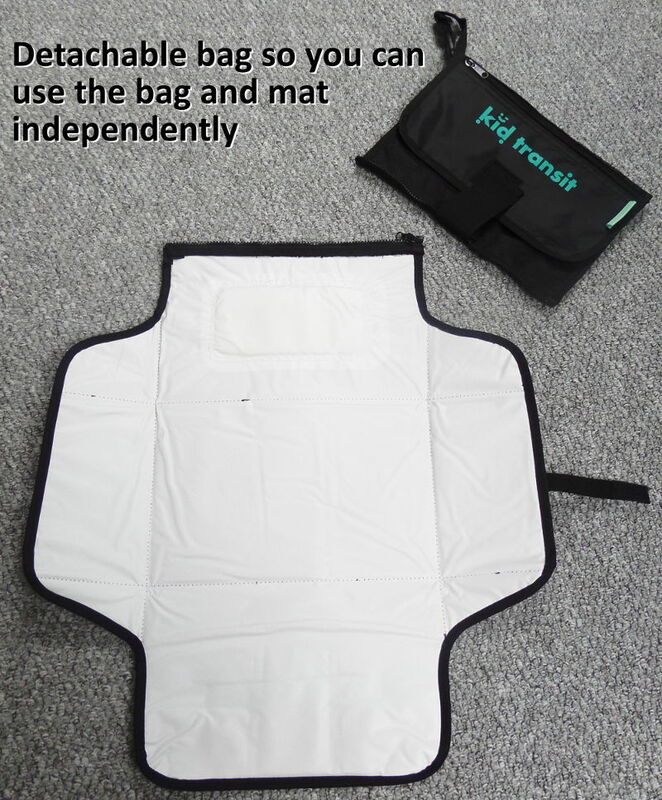 What the Kid Transit nappy mat is not!!! The changing mat and bag is not a toy and should not be given to your baby/child. While no part of the travel changing mat is directly dangerous there are elements, such as small zip pullers, that may cause hard to small children so your baby should not be left unattended with the changing mat and bag. How to use the travel changing mat. 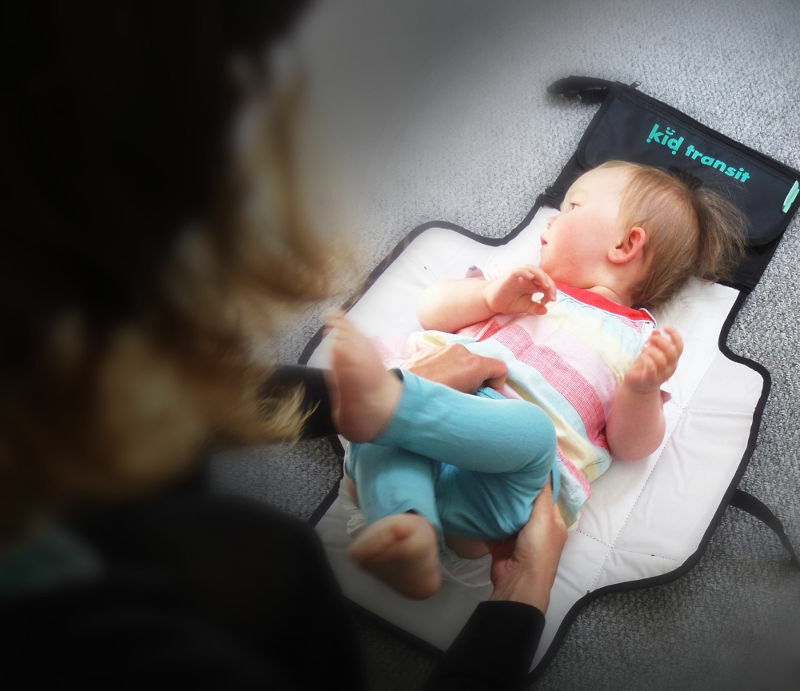 The mat unfolds into a larger changing area that has an area of extra padding for your child’s head. The changing area unfolds easily and can be easily wiped down after if necessary. 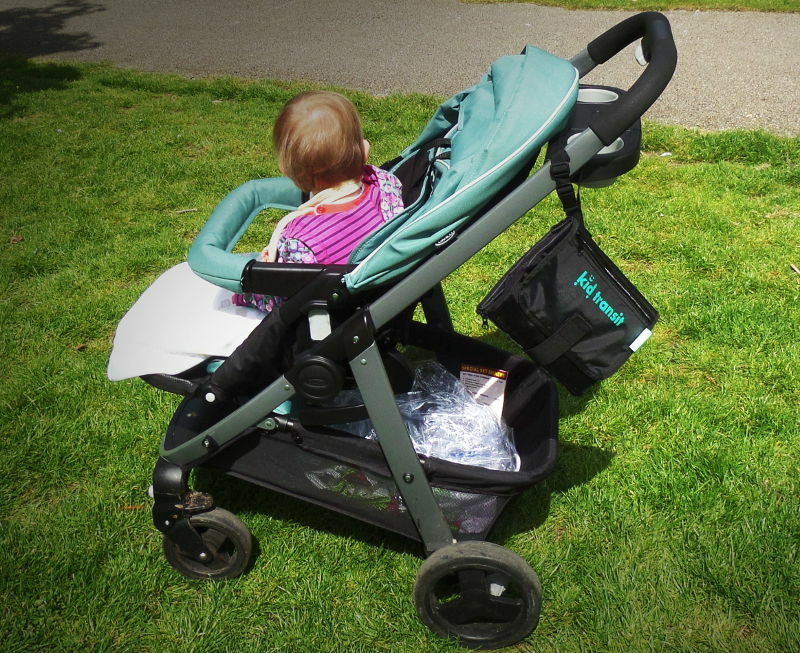 The top bag section can be unzipped and can either be used separately or it can be taken off if you want to just carry the changing mat section in your stroller or nappy bag. There is a strap so that you can easily attach it to your pushchair or pram.